Apple hosted a huge event in California this week, and it was all centered about the Mac. We figured by the look of the invite that software would be a huge part of the discussion, and indeed it was. One of the major introductions at the event surrounded FaceTime. That's Apple's own video calling software, and while it's definitely not new (Skype has enabled video chats for quite some time), it's one of the more fluid implementations. But there's just one major problem: it's only available between iPhone 4/iPod touch users. No longer. 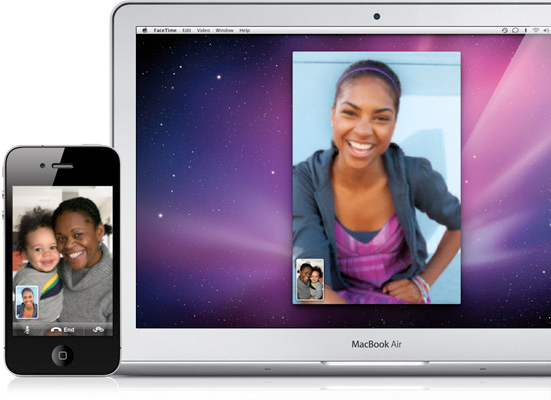 Apple today introduced the public beta of FaceTime for Mac, which is a standalone app that is separate from iChat and enables Mac users to video call iPhone 4 and iPod touch users as well as other Mac users. 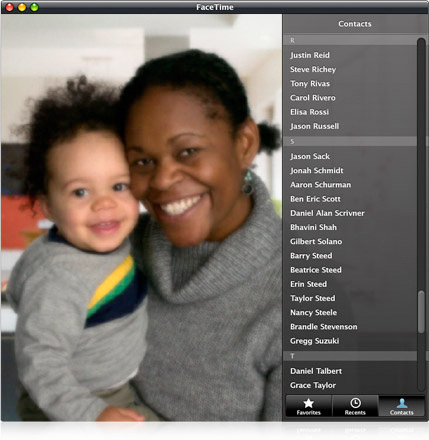 The app Mac automatically uses your Address Book contacts, and it works seamlessly with the built-in camera and mic on Mac notebooks, iMac and Apple LED Cinema Displays. It's available to download today for free, but OS X 10.6 Snow Leopard is required. Give it a shot if you have been meaning to speak to your folks back in Canada. Or wherever they are.